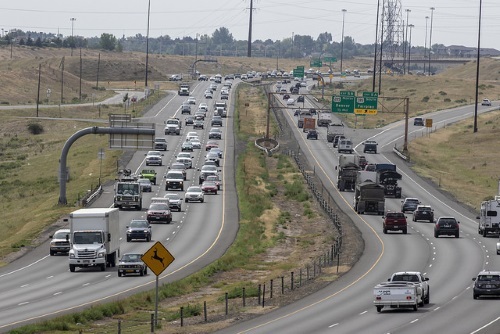 The Colorado Department of Transportation is poised to play a key role in a new transportation electrification strategy initiated by newly-elected Gov. Jared Polis (D). The creation of an interdepartmental transportation electrification work group, to develop, coordinate, and implement state programs and strategies to support widespread transportation electrification across the state. A directive issued to the Colorado Department of Public Health and Environment to develop a rule establishing a Colorado Zero Emission vehicle program, with a proposed rule to be ready for submission to the state’s Air Quality Control Commission no later than May 2019. A directive issued to the Colorado Department of Public Health and Environment to revise the state’s Beneficiary Mitigation Plan, which describes how the state will allocate nearly $70 million received in trust funds due to the settlement of the federal Volkswagen emissions case. The revised plan will focus all remaining, eligible investments on supporting electrification of transportation, including transit buses, school buses, and trucks. Gov. Polis added that Colorado has already taken “significant steps” toward the transition to electrified transportation by offering a $5,000 tax credit for passenger electric vehicles and partnering with the private sector to build fast charging stations along Colorado’s major highways – efforts aimed at helping the state deploy 940,000 EVs on the road by 2030. Chevrolet Volt Hybrid; photo by the U.S. Air Force. The governor also made “clean energy” a cornerstone of his first state budget issued earlier this year.